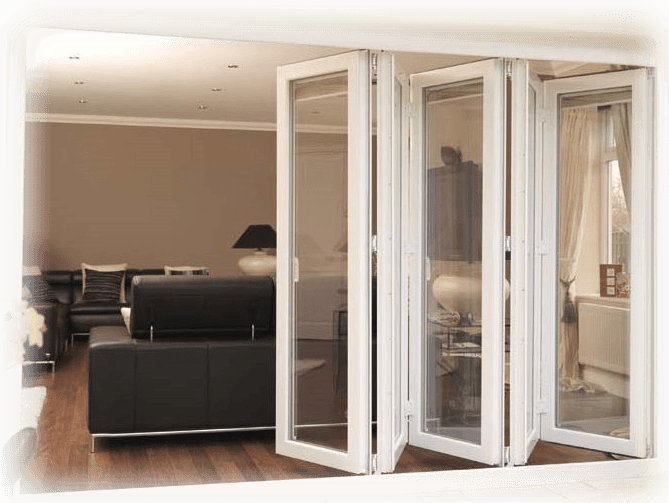 Folding doors can have a single or double opening (bi folding), that folds back in two or more sections. For this reason they are also called ‘Accordion Doors’. They are very stylish and are the perfect choice for any home back door or room divider. We fit and supply high quality made-to-measure ‘A’ rated uPVC Folding Doors in the greater Dublin area.